(NaturalNews) Of all the threats to humanity today, none is more destructive than modern-day "evidence-based science." And by the word "science," I don't mean the humble pursuit of knowledge using genuine scientific methods. What I mean is the dogmatic, corporate-driven brand of distorted science based on falsified evidence, bribery of gatekeepers and corruption of government regulators. That "science" is killing us all with hormone disruptors, hidden food chemicals, heavy metals, genetic engineering and neurological disruptors. The pushers of this corporate-driven "evidence-based science" claim to be aiding humanity, yet their actions prove they are only destroying the health of the population and the future viability of the life-sustaining ecosystem as well. For every poison that threatens humanity today, there is a group of scientists lurking behind it, profiting from its consumption while spreading lies about its safety. 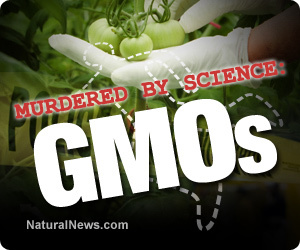 The aim of this Natural News article series is to exposed the lies of corrupt "science" and reveal the truth about what "evidence-based science" is really promoting in our foods, medicines, industries and home environments. What follows, then, is a ten-part article series, with each part outlining one "evidence-based science" threat to continued life on our planet. Each article is sourced and verifiable through even the most basic web searching. None of this is fiction. 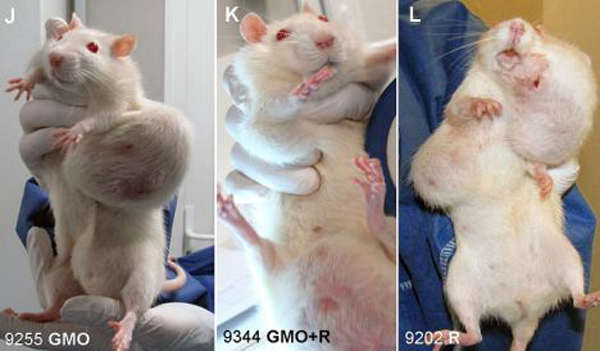 GMOs have been proven to cause wildly increased growth of cancer tumors. They also cause infertility and organ failure. That's because GM crops grow deadly insecticides right in their own tissues. When those crops are consumed by humans, the insecticides are part of the meal. "The animals on the GM diet suffered mammary tumors, as well as severe liver and kidney damage. The researchers said 50 percent of males and 70 percent of females died prematurely, compared with only 30 percent and 20 percent in the control group." GMOs may also help explain why infertility is skyrocketing in humans and why younger children are increasingly being diagnosed with cancer. Given the deadly results of consuming GMOs, every "scientist" who pushes GMOs is an indirect murderer. To push this dangerous technology without any long-term safety testing whatsoever is a violation of the "precautionary principle" that used to be honored in scientific circles. But caution has been abandoned in favor of corporate profits, and now it's all about selling more food, seeds and chemicals, regardless of how many men, women and children are killed or damaged in the process. When you see a "scientist" arguing in favor of GMOs, think to yourself, "That's a homicidal maniac" because widespread death is the ultimate result of their irresponsible, dangerous actions. This is article #1 in our "murdered by science" special report. Click here to continue with #2.